Hand Lettering: Blessed Carta Co.
Congratulations to Morgan and Nic. Morgan wowed her wedding guest in an Allure lace wedding gown. 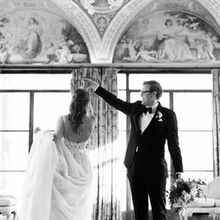 Congratulations to one of our favorite wedding photographers, Tamara, of Tamara Jaros Photography and her husband Tony. I cannot say enough wonderful things about Volle’s Bridal. 2 weeks before my wedding, my dress was ruined by another bridal studio in McHenry, Illinois. My sister called Volle’s, explaining the situation, and they fit us in that afternoon. They were so empathetic to my situation and absolutely bent over backwards to make sure that we were taken care of. We found the most beautiful dress that day and the had the perfect alterations done within a week. The owner has the kindest heart and honestly cares about every bride having a perfect experience. Their seamstress is so talented, a real artist with a dress. I cannot recommend Volle’s enough. Don’t bother to look anywhere else Volle’s will treat you like family. 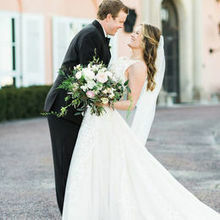 https://vollesbridal.com/wp-content/uploads/2018/06/elizabeth-1.jpg 220 220 Chad Dershaw https://vollesbridal.com/wp-content/uploads/2018/06/VollesLogo2018.png Chad Dershaw2018-06-19 22:59:312018-06-19 22:59:31VOLLE'S TO THE RESCUE! 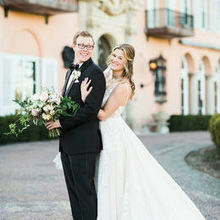 Lake Zurich, IL/January 19th, 2018—Volle’s Bridal Boutique is pleased to announce that they have been selected as a 2018 ­­winner in The Knot Best of Weddings, an award representing the highest-rated wedding professionals as reviewed by real couples, their families and wedding guests on The Knot, the leading online wedding brand and app. This is the 3rdyear Volle’s Bridal Boutique has been selected for The Knot Best of Weddings. The mission of Volle’s Bridal and Boutique is simple: to make you feel like the only bride in the world. Volle’s Bridal accomplishes this mission by pledging personalized attention and by treating you, the customer, like family. The Lake Zurich, Illinois store, located approximately 30 minutes northwest of Chicago, meets the definition of a full-service salon. Volle’s offers complete outfitting and accessory needs for brides, grooms and their wedding parties.